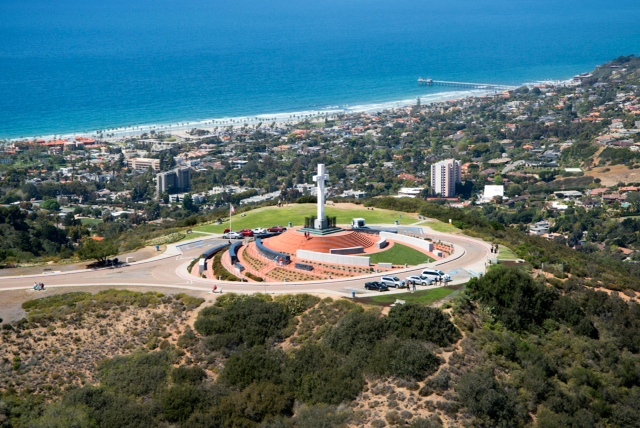 The U.S. Supreme Court declined Monday to immediately review a lower court’s decision regarding the constitutionality of the cross atop Mt. Soledad in La Jolla. The 43-foot-tall monument and pedestal has been challenged in court for about 25 years. Opponents contend the cross is an endorsement of a particular religion, while supporters say it is a war memorial. In 2011, the 9th Circuit Court of Appeals ruled the cross violates the U.S. Constitution’s establishment clause and ordered the case returned to district court for disposition. U.S. District Judge Larry Burns last December issued his order in response to that decision, stating the cross be removed in 90 days, but he issued a stay until appeals are exhausted. Lawyers for the Mt. Soledad Memorial Association then filed a petition to send the long-running court battle directly to the U.S. Supreme Court, but in light of the stay, the Supreme Court chose to await the final decision by the 9th Circuit Court of Appeals. Lawyer Charles LiMandri told reporters he was confident the Supreme Court would eventually hear the case after the appellate court issued a final decision, but that could take two to three years. “The important thing is to remember, though, is the cross is not going anywhere — not now, and we believe not ever,” LiMandri said. Lawyer James McElroy, who represents plaintiff Steve Trunk, who wants the cross removed, told City News Service he didn’t think it was appropriate for the high court to take the case at this time. The justices might get another chance to take the case in the future, he said. Until then, the case is back at the 9th Circuit, with briefings due to be filed over the next several months. After the appellate justices rule, the case could get appealed again to the Supreme Court, he said. The attorney said it’s hard to predict whether the nation’s highest court will eventually take the case. Alito said the court might hear the case, but not now, according to McElroy. The lawyer said conservatives don’t think the establishment clause — which prevents the government from creating a national religion or church — is very clear and that its tests are not working very well. “That is another reason that might change the percentages from just saying there’s a 98 percent chance they’re not going to take it,” McElroy said. Once the 9th Circuit rules, the case is either over or the Supreme Court will accept the case in its next term, he said. That could wrap the case up within two years, he said. The case could also be settled out of court by having the cross moved or the Mt. Soledad land purchased by private interests, but there have been no such talks to this point, McElroy said. 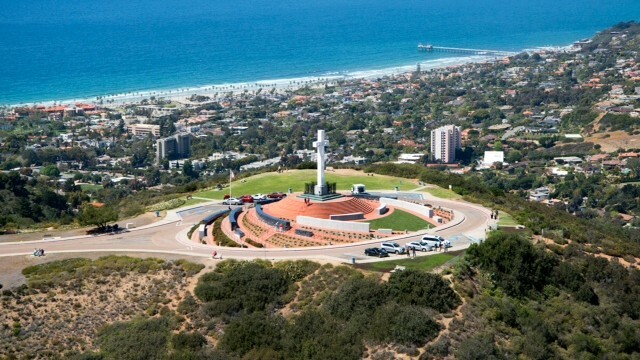 But Daniel Mach of the American Civil Liberties Union, representing a group of Jewish war veterans, told the L.A. paper the cross must come down because it represents an unconstitutional endorsement of one religion.